The Vegan Society have been around for 70 years. More than just avoiding dairy and meat, the society look to avoid exploiting animals for any purpose. They promote alternatives to animal products, explaining that these are affordable and easy to find. 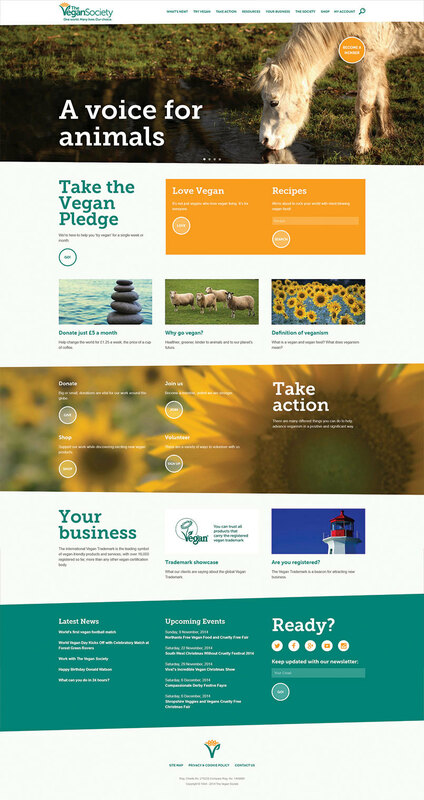 The Vegan Society were looking for a creative approach to their new site. An approach that would keep a balance between the sensitive nature of the organisation and the sense of strength, empowerment and change that they promote. 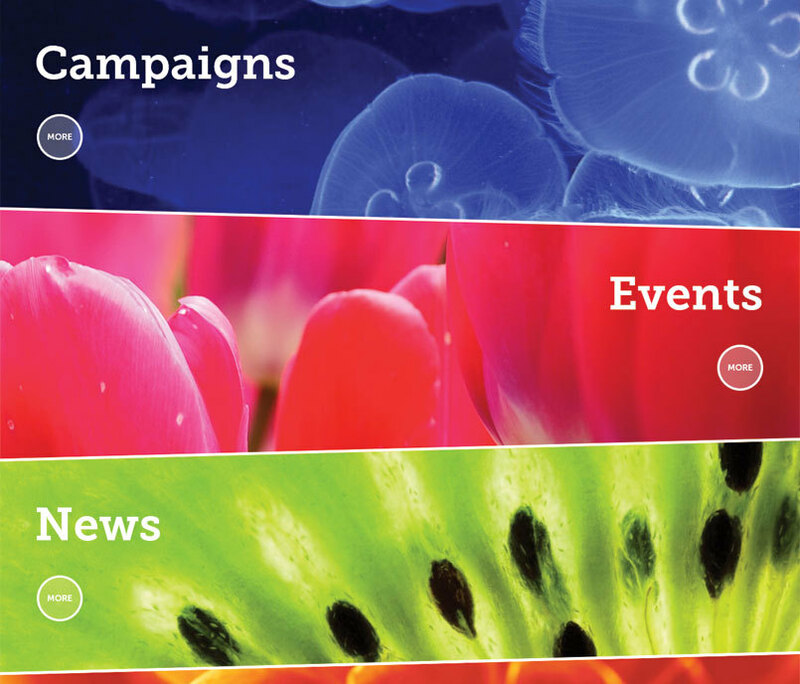 Our finished website shows off the strong branding and the powerful imagery of the organisation. The site provides a wealth of organisation news, national and international events, recipe resources, Vegan products and general advice. Members can donate and volunteer and companies can seek to use the Vegan trademark on their own products. We are thrilled to learn that our website for The Vegan Society has won Best Lifestyle Website at the 2015 VegfestUK event in London.